Chef/Author John Howie is the Chef/Proprietor of some of Seattle’s best restaurants. Howie’s first restaurant, Seastar Restaurant & Raw Bar, is recognized as Seattle’s best seafood restaurant by ZAGAT with an extraordinary score of 27. Seastar was voted "Best Eastside Restaurant" and "Best Seafood Restaurant" in Seattle Magazine for 2013. In 2005, Howie opened SPORT Restaurant & Bar in Fisher Plaza, across from the Space Needle. It’s been a sport fan and family favorite since opening, with award-winning chili, chowder and Wagyu beef burgers. SPORT was also voted "Best Sports Bar" by the readers of Seattle Magazine in April 2013. In September of 2009, Howie opened John Howie Steak. John Howie Steak was recently voted the “Best Steakhouse, Best Chef and Best Service” in Seattle by the readers of 425 Magazine, and "Best Steak in Seattle" by the readers of Seattle Magazine - April 2013. John Howie Steak is recognized by ZAGAT with a 26 for service, and a 27 for food, both considered extraordinary. 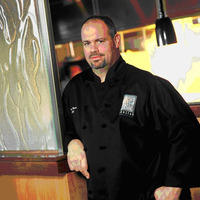 Chef Howie’s restaurants are known for their philanthropic achievements as well as their culinary expertise. Since 2002, over $4,500,000 have been delivered to various charitable organizations through donations of time, products and gift certificates. Howie and his wife Debbie were the co-chairs for the Ronald McDonald House Annual Auction in 2011. Howie also represents the Seattle Seahawks at the Taste of the NFL’s “Party with Purpose” each year, with 2014 being his 10th year. Howie won the Taste of the NFL’s “Kick Hunger Challenge” in 2013 and 2014 by raising the most money in the country for the hungry, over $100,000 in 2014. Chef Howie's restaurant group was recognized in 2013 by the Puget Sound Business Journal with the Corporate Citizenship Award for Neighborhoods and Communities. Lawyers Helping Hungry Children also awarded Chef Howie with the "Hunger Warrior Award" in 2013 for his work within the community on hunger relief. In 2013, Howie made his 6th appearance at the Disney World Epcot Food & Wine Festival, and will return in 2014 for his 7th appearance. Chef Howie placed 2nd overall, by .07 of a point in the Prince Edward Island International Chef Competition in September 2012, and his Thai Coconut Curry Mussels and Rock Crab Chowder took 1st place overall in the Prince Edward Island International Shellfish competition that same weekend. In 2013, Chef Howie was named as a semi-finalist for the James Beard Award - Outstanding Restaurateur. He has been invited and prepared special dinners at the James Beard House five times; his most recent visit being in November 2012. Chef Howie is a regular on Seattle’s local TV and radio stations, providing viewers and listeners with great culinary recommendations. Howie is also featured in national media, including Martha Stewart Living, the CBS Early Morning Show, the Cooking Channel, Food Network, Wall Street Journal, and the New York Times. In 2011, Howie released “Passion & Palate: Recipes for a Generous Table.” The cookbook is a culmination of recipes and stories from Howie’s experiences as a chef and restaurant owner. “Passion & Palate” is a hardbound book, with over 240 recipes and beautiful photography. The book also features wine recommendations for each recipe from Erik Liedholm, company wine director, sommelier and business partner. Passion & Palate is endorsed by Chef Maria Hines, Jay “The Bone” Buhner, Coach Lenny Wilkins, and many more. Although Howie has never attended culinary or business school, his restaurants are extremely successful, garnering the highest praise and accolades from local and national media alike. I am glad we are friends and I look forward to seeing all your recipes. Thanks for the pesto clam recipe! I get to eat this dish at one of my favorite place in Tacoma - and imagine my surprise that you own it with Chef Bill! 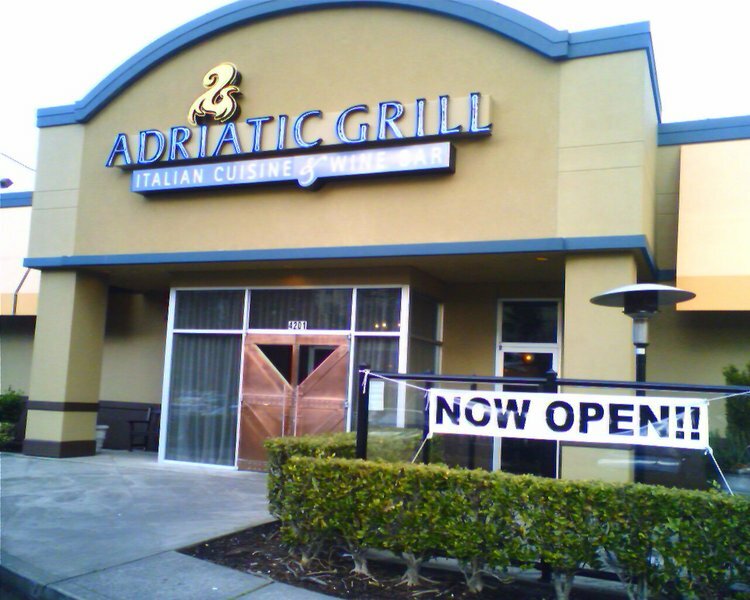 Love the Adriatic Grill! AWESOME food at the Sport and Seastar. Was just looking for a calorie counter menu online and realized that the owner also started the Sport. One of my fav's. I tell clients who come into town to go the Sport for lunch. Excellent food.